My name is Cherie, I'm from Vancouver! And and I am an avid reader of your blog! Congratulations on your wedding! Your pictures made me reminisce about my grade school days in MTQ!!! 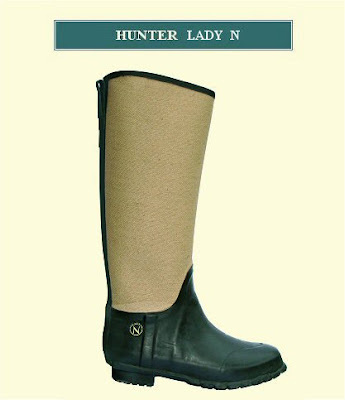 Anyhoo, I just bought the Hunter Lady N boot in beige and I have no idea how to wear it! Especially for the fall! Can you give me some tips? i don't want to look too old wearing them as i am only 17...Thank you so much for reading my email! Thanks too for your email Cherie! Good move on those Hunter wellies! Since you got yourself a pretty much neutral colored pair of boots, I think your wellies will go with anything be it shorts, leggings, jeans and dresses! In terms of color, you shouldn't be afraid to bust out the brights as with this girl who boldly paid her green wellies with red skinny pants! For fall, you can just wear a pair of tights under your shorts and dresses, and wear a coat with volume to balance out the chunkiness of the boots! Don't forget to play with prints and/or colors to keep it young! CD, my own Wellies are "English country" with houndstooth checks on them, in brown. Who knew Gummi (as they're known in Germany) could be so dressy? I love them best with jeans as they can look chunky. I did spot tapered SigMor pairs a year ago that were more equestrian and did wonders to lengthen the leg...Must check out Hunter. Oooh! Your wellies are very English eccentric vanessa! 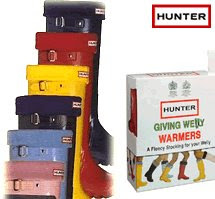 But yes, you definitely must check out Hunter wellies too! I've been checking your blog at least once a week since Dec last year...and I'm always impressed with your entries. It really shows that you take your time and exert a lot of effort to shed some light and answer questions from your avid readers. Keep up the good work!